After the success of Blame My Brain, which covers all the internal upsets and stresses of adolescence, I wanted to cover the external stresses: the pressures of exams, relationships, fears created by new knowledge of the world, body changes, the internet and cyber-bullying. The teenage years can be really stressful, for parents and teenagers, and sometimes full of dark fears. The Teenage Guide to Stress puts everything into perspective and shows young people that they are not alone and that there is help, whether their worries are small or big. Stress can affect us at any time of life and TTGS teaches the skills to thrive through stress. Winner of the School Library Association Award 2015, with both the judges’ and readers’ awards. After the success of Blame My Brain, which covers all the brain-related, internal changes of adolescence, I wanted to tackle the external stresses: exams, relationships, fears, body changes, the internet and cyber-bullying. And more. 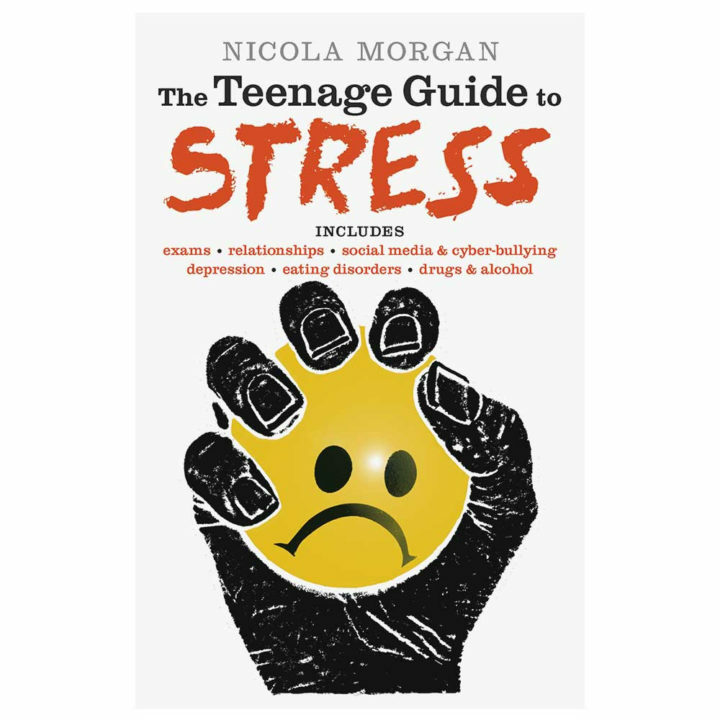 The Teenage Guide to Stress is divided into three sections: Section One explains the biology of stress. Section Two deals with issues that can affect teenagers – from anger, depression and sexual relationships to cyber-bullying, exams and eating disorders – and offers guidance and advice, as well as looking at how pre-existing conditions such as OCD and dyslexia are affected. Section Three helps you deal with and prevent symptoms of stress. At the back is a glossary and list of useful resources. It contains a simple yet important message to all young people: You are not alone and there are simple ways you can manage your stress.